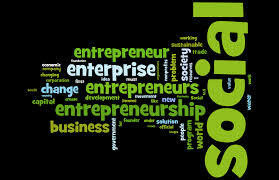 Social entrepreneurs are drivers of change. Together with institutions, networks, and communities, social entrepreneurs create solutions that are efficient, sustainable, transparent, and have measurable impact . Wendy Kopp’s Teach for America which transforms educational opportunities for low income groups whilst recruiting top university students to work in America’s worst performing public schools. Ambitious: Social entrepreneurs tackle major social issues, from increasing the college enrollment rate of low-income students to fighting poverty. They operate in all kinds of organizations: innovative nonprofits, social-purpose ventures, and hybrid organizations that mix elements of nonprofit and for-profit organizations. Mission driven: Generating social value not wealthis the central criterion of a successful social entrepreneur. While wealth creation may be part of the process, it is not an end in itself. Promoting systemic social change is the real objective. Strategic: Like business entrepreneurs, social entrepreneurs see and act upon what others miss: opportunities to improve systems create solutions and invent new approaches that create social value. Oriented: Social entrepreneurs are driven to produce measurable returns. These results transform existing realities, open up new pathways for the marginalized and disadvantaged, and unlock society’s potential to effect social change.